This mani definitely reminded me of chocolate, and who doesn't love chocolate? 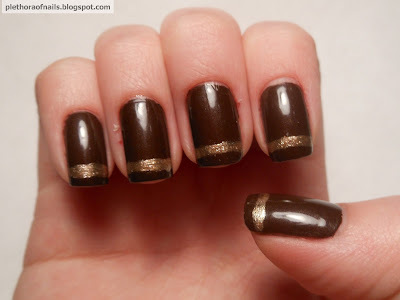 I just love brown polish! This was my first time with a brown polish! I might be addicted already!